Camp Chef Pellet Grill Review: Woodwind, LUX, SG and More! Camp Chef has eight pellet grill designs to choose from and figuring out the differences can be confusing as heck! This post will review the differences between the current (2018) offerings. 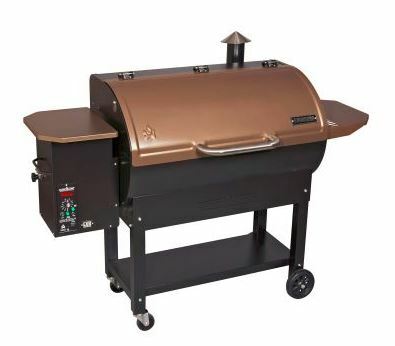 There are six versions of their Medium grills which have a primary cooking grate that is 19.5 x 22 inches for a total grilling area of 429 square inches. 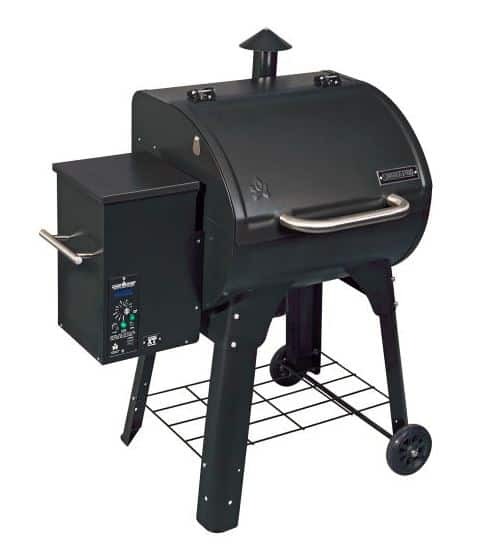 There is an available secondary grilling rack that is included in some models that increase the grilling capacity by 141 square inches (570 sq in total). 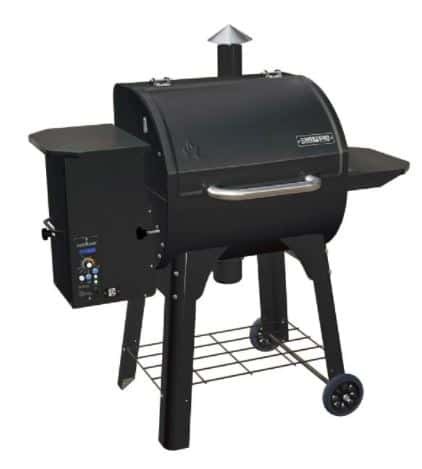 There are two versions of their Large grills which have a primary cooking grate that is 19.5 X 34 inches for a total grilling area of 663 square inches. These grills also include a secondary grilling rack that increases the grilling capacity by 221 square inches (884 sq in total). All of these grills come with Camp Chef’s patented firepot clean out system and all except one are covered by a three year warranty. The Camp Chef grills get wonderful consumer reviews, are value priced and are backed by a three year warranty. 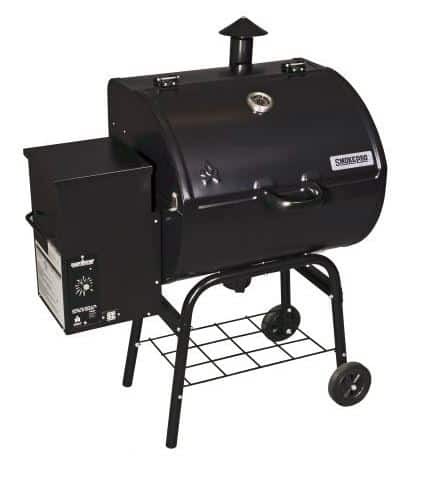 because of those factors I included them on my list of the Best Pellet Grills for the Money. Whenever I do one of these review posts I always like to throw in the promotional video from the manufacturer. They tend to show the product in the best light possible and are usually entertaining. Here is the pellet grill grill sales pitch from Camp Chef. Here is the breakdown on all eight grills and what is different between them. This is the base model offered by Camp Chef. 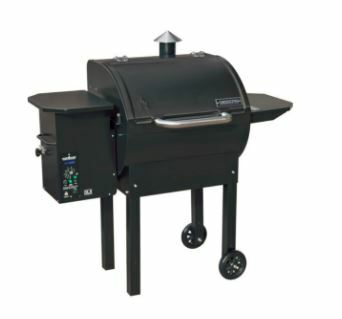 The biggest difference in features between this grill and the rest is the controller display and meat probe. All of the other Camp Chef grills have a digital display that tells you the temperature of the grill and your meat probe. There is no digital display on this controller or meat probe. I do NOT recommend buying the SmokePro SE. Every Camp Chef pellet grill comes with a three year warranty EXCEPT this model. The Smoke Pro SE only has a one year warranty. I do not know why this warranty difference exists but it is very deliberate and there for a reason. The STX is a step above the SE and comes with a digital temperature display for the grill and meat probe. The XT appears to be the updated version of the STX. The grills have the same MSRP but the XT comes with the secondary grilling rack while the STX does not. 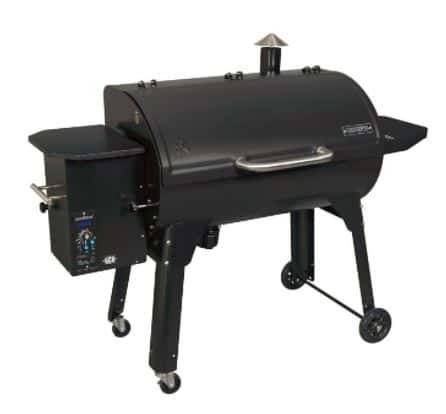 The extra features you get on this grill are a side table and a little lever that lets you easily dump all of the pellets out of the hopper if you feel like changing wood flavors. There is a significant price difference between this product and the XT that I do not believe is warranted. The SG is one of two options that Camp Chef gives you to address the biggest problem with pellet grills; the inability to sear a steak. The SG has a lever that will slide the heat diffuser away from the firepot and a slotted grease tray that will allow food to come into direct contact with the firepot flames. 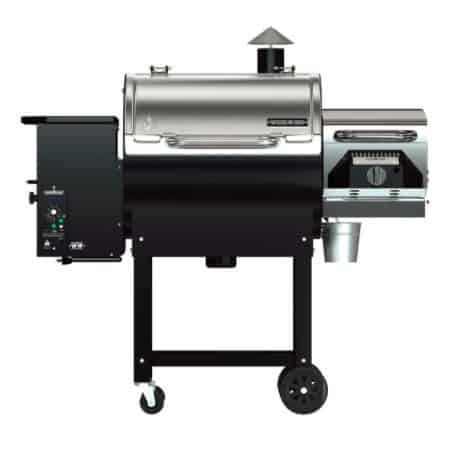 This is Camp Chef’s version of the Flame Broiler system offered on most Pit Boss pellet smokers. Like the Pit Boss system the SG has limitations. The area over the pirepot is small so you can only sear one or two steaks at a time. Additionally, while having access to direct flames is an improvement the temperature does not increase considerably. The Woodwind with Sear Box is the second option that Camp Chef gives you for searing steaks. The Sear Box on the Woodwind is a 16,000 BTU/hr propane fired burner capable of reaching temperatures of 900F. The Sear Box is a searing beast that will give audacious grill marks and caramelized crusts. The downside of the Sear Station is that you need a separate propane tank. The LUX is essentially the same as the DLX but much larger. The LUX does not come with a Sear Box or the Slide and Grill feature. The LUX can be fitted with the Sear Box if purchased separately. 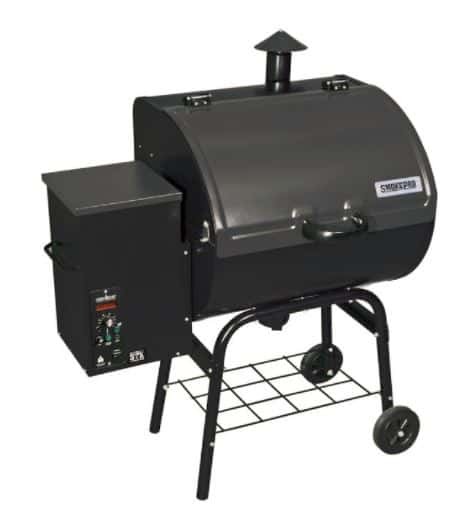 I hope you found this review of the different pellet grills offered by Camp Chef to be useful. Companies are always changing model numbers and introducing new features so I will be revisiting this post and updating as appropriate. Prices given in the article are the MSRPs from the Camp Chef website. These products can usually be found for less at your standard online retailers. As always, I am not perfect and get details wrong from time to time. If you spot any mistakes or have some observations to share then drop me a comment below. I believe your review is very accurate. I have never owned pellet grill before. I purchased a Woodwind with sear box in 2017 directly from camp chef. I love this grill! I cook in it daily all year round. I do bread, cookies, pizza and of course reverse sear ribeye. The smoker gets hot enough to put a nice caramelized finish on the ribeye. 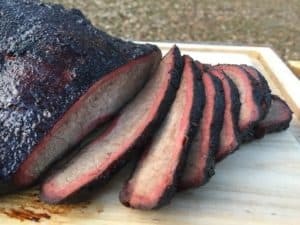 I get so many compliments from my guests on the perfect amount of smoke flavor. Jeremy, glad to hear that you are loving the Camp Chef! Thanks for stopping by!